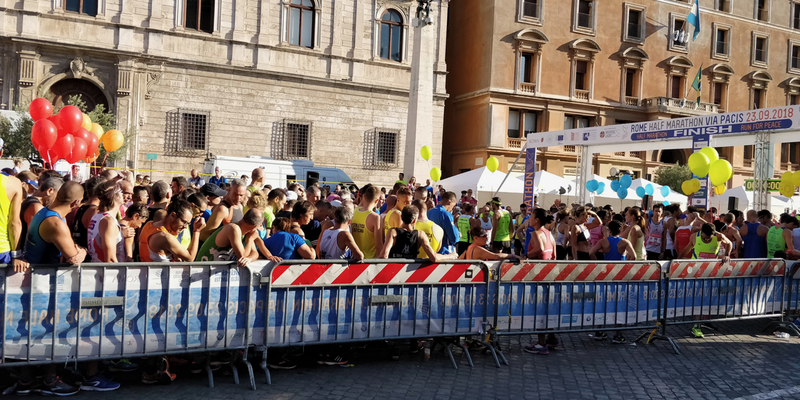 This event, which is jointly-sponsored by Roma Capitale, the Pontifical Council for Culture, and the FIDAL (Italian Athletics Federation), aims to "unite all peoples, people of good will, those who say no to violence and who believe in the beauty of life, integration and sharing." This year, the Nelson Mandela Foundation joined the sponsoring organizations, and included the half marathon among its international events in commemoration of the centenary of the birth of Nelson Mandela. 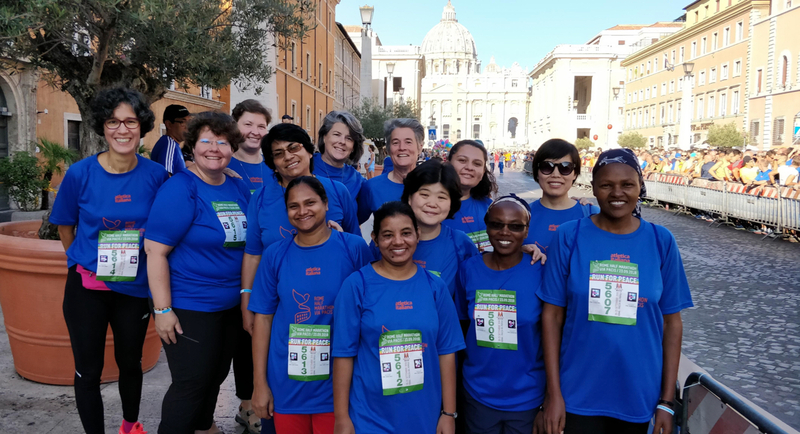 All our probanists, along with Florence de la Villeon rscj and Diana Wall rscj, participated in this five-kilometer run for peace. 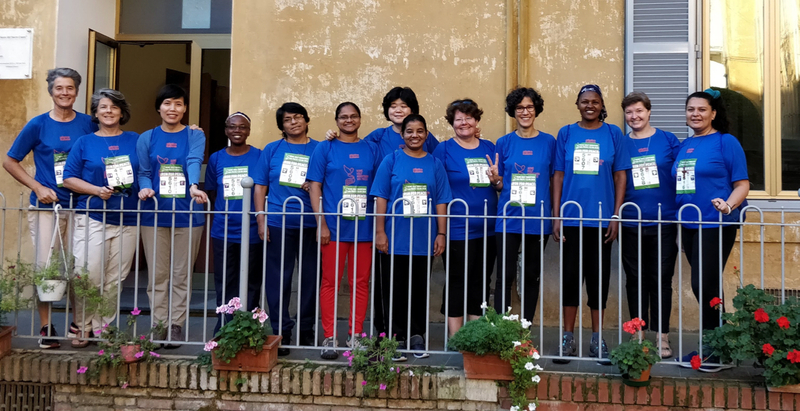 Florence wrote: "It was a beautiful experience to run together, and to run with families, and with persons and groups from different churches and movements." The event ended with Mass which they also attended together.